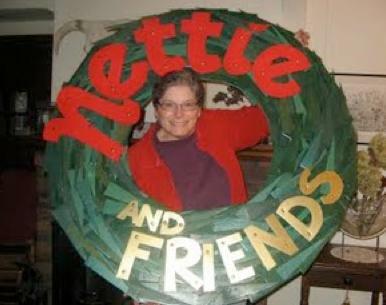 Nettie & Friends Craft Show to Benefit Maxfield Learning Center! I donated a couple of pieces to the show this year, one of which is the image that you see with this blog entry. It’s a 6×6 wall hanging made from recycled tile, repurposed scrap stained glass and mirror glass. From the prelim pictures that I saw, there will be some gorgeous quilts, hats, scarves, mittens, handbags and all sorts of cool stuff–at reasonable prices! So, swing by and kill two birds with one stone: get some holiday shopping done and support an extremely worth cause!